Christmas Day – why the 25th of December! Christmas is not only a sacred Christian religious holiday but also, a worldwide cultural and commercial spectacle. People around the world have been observing it with traditions and practices that are both religious and nonspiritual in nature. Christians celebrate Christmas Day as a reminder of the birth of Jesus Christ, who they see as the Son of God, their spiritual leader whose teachings form the basis of their religion. To everybody else, it is a widely exalted holiday celebrating the end of the year. 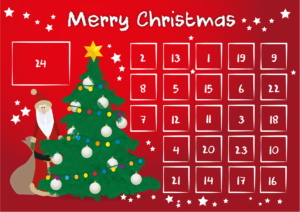 Christmas holidays have many customs which have become popular include exchanging gifts, decorating Christmas trees, attending church, sharing meals with family and friends and, of course, waiting for Santa Claus to arrive. The name 'Christmas' originally derived from a Mass service during which Christians remember that Jesus Christ died for them and then came back to life. 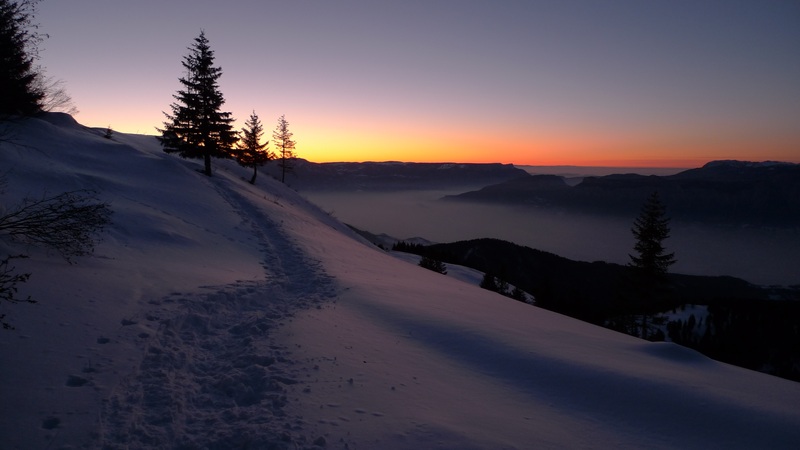 The 'Christ-Mass' service was the only one that was allowed (by the government at the time) to take place after sunset (and before sunrise the next day), so people had it at midnight! Thus we get not only the name Christ-Mass, shortened to Christmas but also the reason why midnight mass at Christmas is so popular. 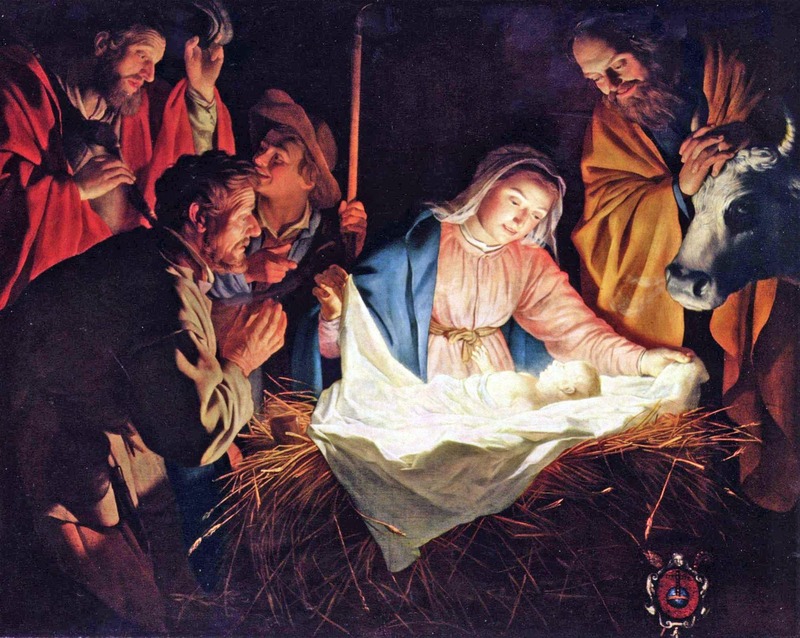 As to the actual date of Jesus' birth, no one really knows. No date is given in the Bible. Also, the birth of Jesus probably didn't happen in the year 1 but slightly earlier, somewhere between 2 BCE/BC and 7 BCE/BC, possibly in 4 BCE/BC (there isn't a 0 - the years go from 1 BC/BCE to 1! At that time in Europe, the number 0 didn't exist in math - it only arrived in Europe in the 11th to 13th centuries!). A very early Christian tradition stated that the day when Mary was told she would give birth to baby Jesus (called the Annunciation) was on March 25th…and nine months later is the 25th December! Simple math right, but those of us who are parents know how traditionally unreliable the 'nine month' rule actually is. March 25th (the 14th of Nisan in the Jewish calendar) was also the day some early Christians thought was the day that Jesus died and they believed, at that time, that Jesus was born and had died on the same day of the year. Christmas, first called the Feast of the Nativity, spread to Egypt by 432 and to England by the end of the sixth century. By the end of the eighth century, the celebration of Christmas had spread all the way to Scandinavia. Today, in the Greek and Russian orthodox churches, Christmas is celebrated 13 days after the 25th, which is also referred to as the Epiphany or Three Kings Day. This is the day it is believed that the three wise men finally found Jesus in the manger. St Augustine was the person who really started Christmas as being celebrated on December 25th by introducing Christianity to the UK in the 6th century. 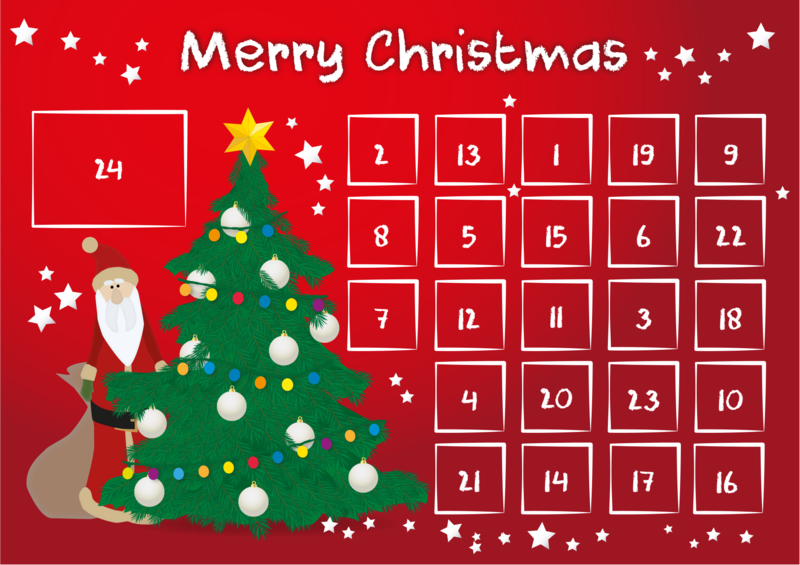 He came from countries that used the Roman Calendar, so western countries celebrate Christmas on the 25th December. Then people from Britain and Western Europe took Christmas on the 25th December all over the world! Tradition also points to the early Christian church of selecting existing pagan celebrations to help citizens more easily convert to Christianity. If this is true, there were many pagan celebrations around December to choose from. 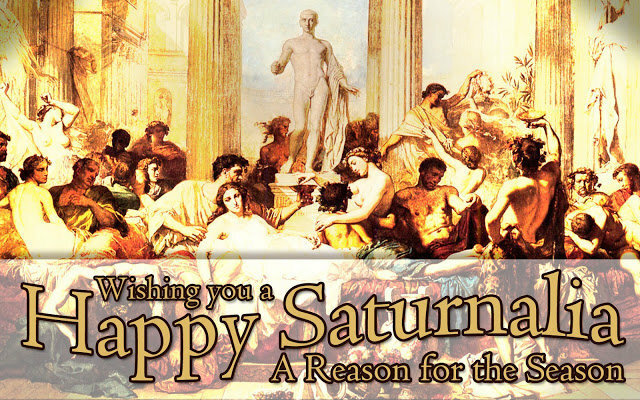 The Roman Festival of Saturnalia took place between December 17th and 23rd and honoured the Roman god of agriculture, Saturn. 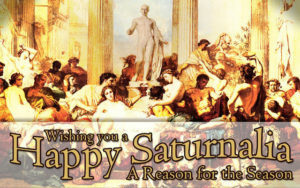 Saturnalia was a hedonistic time, when food and drink were plentiful and the normal Roman social order was turned upside down. For a month, slaves would become masters. Peasants were in command of the city. Business and schools were closed so that everyone could join in the fun. Also around the time of the winter solstice, Romans observed Juvenalia, a feast honoring the children of Rome. In addition, members of the upper classes often celebrated the birthday of Mithra, the god of the unconquerable sun, on December 25. In Scandinavia, and some other parts of northern Europe, the Winter Solstice, from December 21 through to January, is known as Yule. Fathers and sons would bring home large logs, which they would set on fire. The people would feast until the log burned out, which could take as many as 12 days. This is where we get Yule logs. The Jewish (and Jesus was a Jew) festival of Lights, Hanukkah starts on the 25th of Kislev (the month in the Jewish calendar that occurs at about the same time as December). Christmas had also been celebrated by the early Church on January 6th, when they also celebrated the Epiphany, marking the day when it was revealed that Jesus was the Son of God and his baptism. Nowadays Epiphany mainly celebrates the visit of the Three Wise Men but back then it celebrated both things! It is the difference between Christmas Day and the Epiphany that gives us the twelve days of Christmas! Most of the world today uses the 'Gregorian Calendar' implemented by Pope Gregory XIII in 1582. It replaced the inaccurate Julian Calendar, which also had too many days in each year. But many Orthodox and Coptic Churches still use the Julian Calendar and so celebrate Christmas on the 7th January (which is when December 25th would have been on the Julian calendar). The Armenian Apostolic Church celebrates Christmas on the 6thof January! In some parts of the UK, January 6th is still called 'Old Christmas' as this would have been the day that Christmas would have celebrated on, if the calendar hadn't been changed. Many people who have studied the Bible, think that Sukkot would be a likely time for the birth of Jesus as it might fit with the description of there being 'no room in the inn'. It also would have been a good time to take the Roman Census as many Jews went to Jerusalem for the festival and they would have brought their own tents/shelters with them! Accurate or not, the world recognizes December 25th as Christmas Day, representing the spirit, if not the actual day, of the birth of Jesus Christ. This very special day, and its accompanying seasonal period, is expressed, more often than not, by everyone displaying happiness and good will towards their fellow men and women. Merry Christmas from all of us at G.A. Farrell & Associates.